The investment will start this year with overdue improvements made to CEIP Graüll. Mayor José Chulvi called the announcement as “historic” for the town, a demonstration of how quality public education can be at the centre of the political agenda, calling Edificant as a perfect complement for a town that wants to be a sustainable, cultural, opportunistic and educational centre. The Generalitat Valenciana has pledged some 8 million euros for improvements to be made to all the public schools in Xàbia. Mayor José Chulvi made the announcement alongside councillor Montse Vilaverde (Education) and Inma Sánchez from the Education Ministry in Valencia, calling it ‘a most important investment to education in Xàbia’. Through the Plan Edificant, improvements to all primary and secondary schools as well as education centres can start as soon as the investment has been passed to the Ayuntamiento and the tenders have been tendered and commissioned, the final amount being charged to the regional government. Councillor Montse Villaverde explained that the first centre to benefit from this investment will be CEIP Trenc d’Alba in which some 1.4 million euros worth of renovations will be carried out, including the construction of a gymnasium, extension of the kitchen and dining room, improvements to toilets and a playground for the children. In addition, IES Antoni Llidó will see damaged basic infrastructure repaired and a new classroom will be constructed at IES Numero 1 in the port. CEIP Port de Xàbia will see repairs made to a passageway where the surface has subsided (it was built on the old river bed) and improvements will be made to the playground. At CEIP L’Arenal a new playground will be created and the corridors between the floors will be closed to improve energy efficiency. At CEIP Vicente Tena the gymnasium will be renovated as well as the toilets and a new lift will be installed, the latter work being implemented directly by the Education Ministry during the summer. 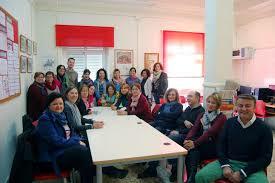 But without a doubt the most important projects will be carried at CEIP Graüll with an estimated budget of between 2 and 5 million euros, dependant on whether a comprehensive renovation is carried out or it is decided that a new centre will be built. The decision will be taken by the Ministry over the next few days and will depend on the price difference – if renovation costs prove to be more than 55% of the cost of building a new school, the latter option will be pursued. Inma Sánchez explained that the regional government doesn’t want “quick works” but prefer those which provide quality and longevity, that meet all the safety requirements and guarantee that the best use is made of public money.